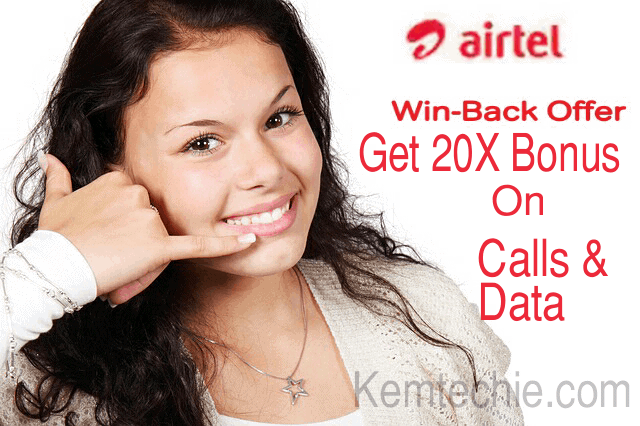 Airtel Nigeria is back with an unbeatable offer (Airtel 20X Recharge Bonus) which gives you 20 times the value of your recharge. When other networks are busy misbehaving & hiking prices of their services, it seems Airtel is the safest refuge to run to. where #500 is allocated for calls, and #1500 for data. where #1000 is allocated for calls & #3000 for data. To activate the Airtel 20X Win back recharge bonus on your line, simply recharge with your desired amount, then dial *241# and choose your preferred plan. Kindly share!